On my home from work tonight I was thinking about dinner. I knew I had some left over roasted tomatoes and a jar of Peppadew peppers these really great little red peppers that grow in Africa. They come in a jar of sweet and tangy vinegar and are the total bomb. I love it when I find them on an olive bar, pared with some cheese and baba ganoush. But tonight I made a kind of Antipasta with the tomatoes (including some of the oil that they come in), the peppadew peppers, cubes of Kerry Gold extra sharp Reserve Cheddar then added cucumbers from the garden and put it all on top of salad greens from the garden as well and cubes of leftover grilled chicken breast. 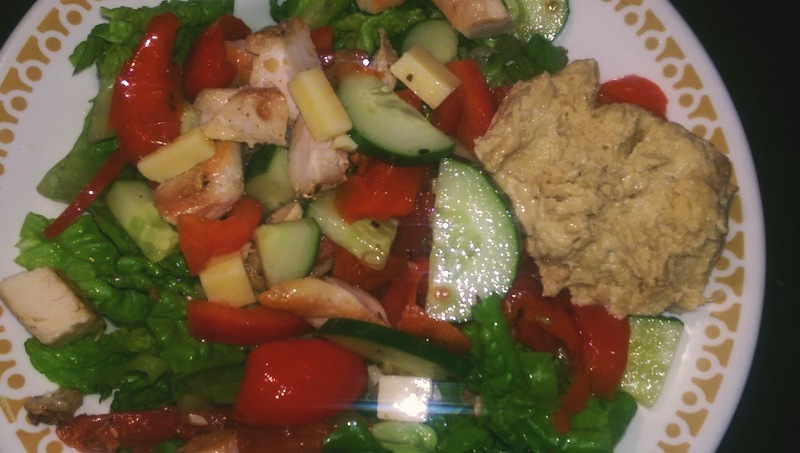 I sprinkled that with some white balsamic vinegar and added a side of garlic hummus. What a delicious light dinner for a warm summer night. For Dessert I made a chocolate sauce with 1 cup of dark chocolate melting wafers and 1- 1/2 cups half and half. 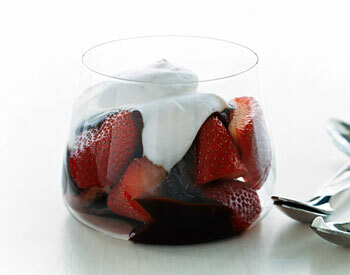 I warmed that slowly in a sauce pan until the chocolate was fully melted and then added 1 tsp vanilla, stirred that all up and poured it over fresh strawberries. Couldn’t ask for a better finish.